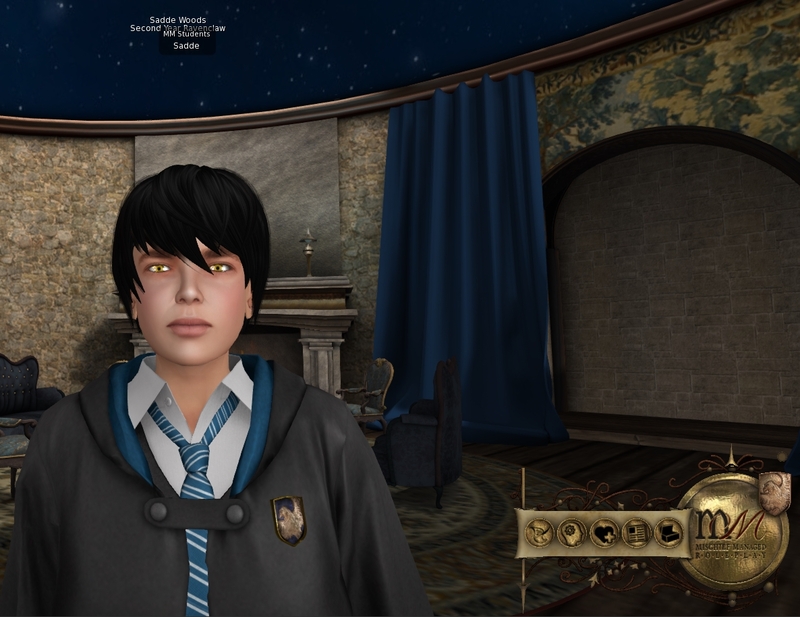 IMPORTANT: Professors need to contact Linnie Gothly (nashari.hynes) before attaching their HUD for the first time, otherwise they won’t be able to create their character. Students who have graduated and are now adults must contact any Admin, for the same reason. When you start creating your character, you will be asked a few things, in order. If at any time you mess anything up, just touch your HUD to restart. First of all, your character’s name. It must have at most 45 characters (spaces count as characters). If your name has any accents, apostrophes, or different symbols, please first type it in using only English letters and then contact me (Sadde (yahn.amat)) for your name to be changed. 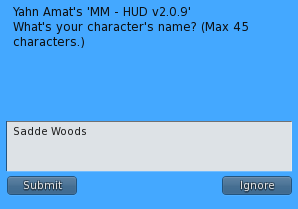 If you had a character registered in the old system, please use the exact same name as before so the system will recognise you as a returning player and then contact me to change your name. After you input your character’s name, you need to input their age. Note that this is their age on the day you create the character. So, for example, if my character turns 13 in November but it’s still September, I will input their age as 12. Following their age, you must input their birthday, in the mm-dd format. That means that, if your character was born on November 06, you must input as above, 11-06. IMPORTANT: Your character’s age on September 1st determines their year. If your character was 12 on September 1st, they will be a second year, even if you type in 13 as your age. Conversely, if you type in an age and birthday that would make your character 17 on September 1st, then they’re necessarily a seventh year. There are no exceptions to this rule. Hogwarts does not care about your previous education, about how advanced you were. Transfer students are absolutely forbidden, and every student must be in the UK when they turn 11 to be enrolled in Hogwarts. No one enters Hogwarts late. You will be asked for your character’s House and social class. The latter will determine their starting amount of money and their allowance (explained below). Once your character has been created, their HUD and Badge will change to reflect their details.